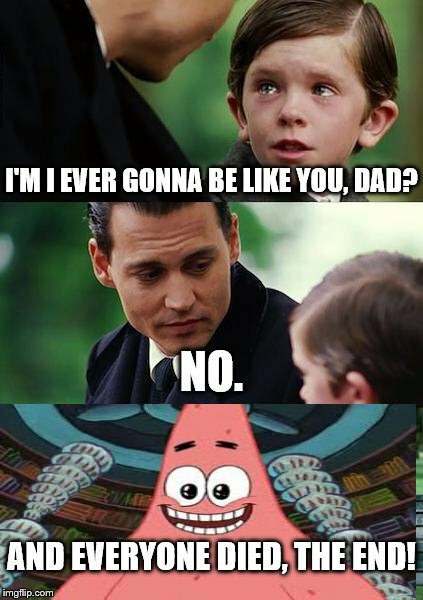 I'M I EVER GONNA BE LIKE YOU, DAD? NO. AND EVERYONE DIED, THE END!